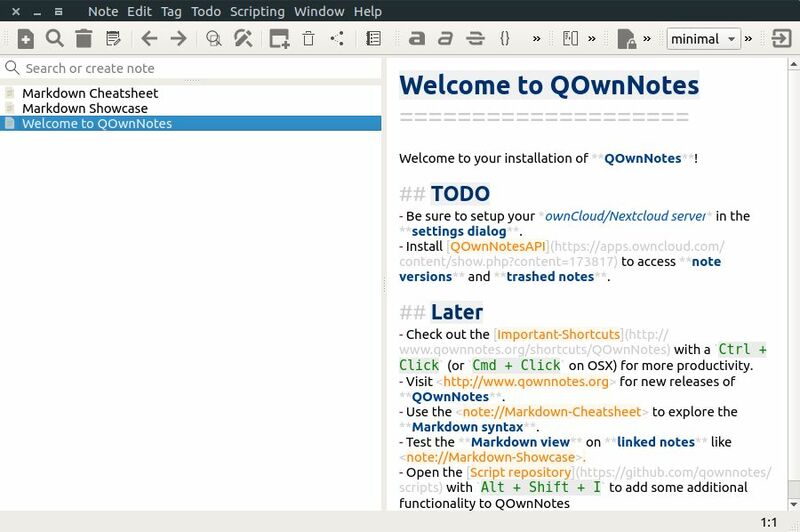 QOwnNotes is the free open source notepad for Linux, Mac OS X and Windows from Patrizio Bekerle. QOwnNotes is a plain text file notepad with markdown support and todo list manager. It is released under GPL licence.You can save your notes on your computer and you can sync the notes over other desktops & mobiles devices with your ownCloud, Nextcloud sync client, Dropbox, Syncthing, Seafile or BitTorrent Sync. It comes with notes folder,customizable keyboard shortcuts, scripting support,markdown highlighting of notes and a markdown preview mode support and Evernote import support. To install the latest QOwnNotes on ubuntu, you need to add the QOwnNotes PPA. Open the terminal app by searching terminal in ubuntu dash and run the below command in the terminal. Then type your ubuntu password when asked and press the enter key confirm the PPA installation.Then type the below command in terminal and press the enter key. Then run the below command in terminal to install the latest version of QOwnNotes on Ubuntu. Type Y and press the enter key to confirm the installation.After the successful installation of QOwnNotes restart your ubuntu. Click the Dash home from unity launcher. And type QOwnNotes in the search field. Then click QOwnNotes to open it.